Holy Trinity is an Evangelical Anglican Church. We seek to be friendly and contemporary in styles of worship and teaching. We seek to relate the Bible to daily life and develop warm relationships within the church family and the wider community. At Holy Trinity our Mission Statement is “Making Jesus Christ known” but we can’t do this unless we are on the journey of a relationship with Him first. “Unless the Lord builds the house, the builders labour in vain” [Psalm 127: 1a]. True Kingdom growth comes from an outpouring and overflowing of our relationship with Jesus, in response to His amazing gift of grace we receive though His death on the cross and the relationship we have with Him as our resurrected Lord. At Holy Trinity we believe that God desires us to “reconnect” with the cross and go deeper with Him, not through being more “religious” or attending more church activities, but by growing in our relationship with Him, by making Him more foundational and central to our lives, our decisions, our actions, our conversations and in our relationships with others. Our desire is not to follow a formula to share our faith, but to have such a deeply rooted relationship with, and love for, Jesus that it simply “bubbles up” and flows out of us in a “natural” way as we are filled and led by His Holy Spirit. The wonderful thing about growing deeper roots is that you can start from wherever you are; whether you are brand new to this journey of faith or have been in a relationship with Jesus for many years. Coming together to worship, learn and pray and support each other is important, indeed vital, if we are to grow those deeper roots. However, we can’t “Make Jesus Christ Known” if we simply remain in our church building or stay only within our church groups (as mere “holy huddles”). Matthew tells of the risen Jesus’ commission: “All authority in heaven and on earth has been given to me. Therefore, go and make disciples of all nations, baptising them in the name of the Father and of the Son and of the Holy Spirit” [Matthew 28: 18-20]. In Acts Luke tells us Jesus’ parting words: “But you will receive power when the Holy Spirit comes on you; and you will be my witnesses in Jerusalem, and in all Judea and Samaria, and to the ends of the earth” [Acts 1: 8]. The desire to “Make Jesus Christ known” should naturally flow from our deeper relationship with God, but it can be too easy to let others do the work, to focus on the “all nations” bit and forget that it includes our nation too - indeed not just our nation but specifically Southwell and the surrounding area. Jesus told the disciples to wait in Jerusalem until they had received the Holy Spirit and then to start witnessing to Him (showing Jesus through their words and actions) in the very places they were in, as well as sending others further afield to spread the Good News of His death and resurrection. 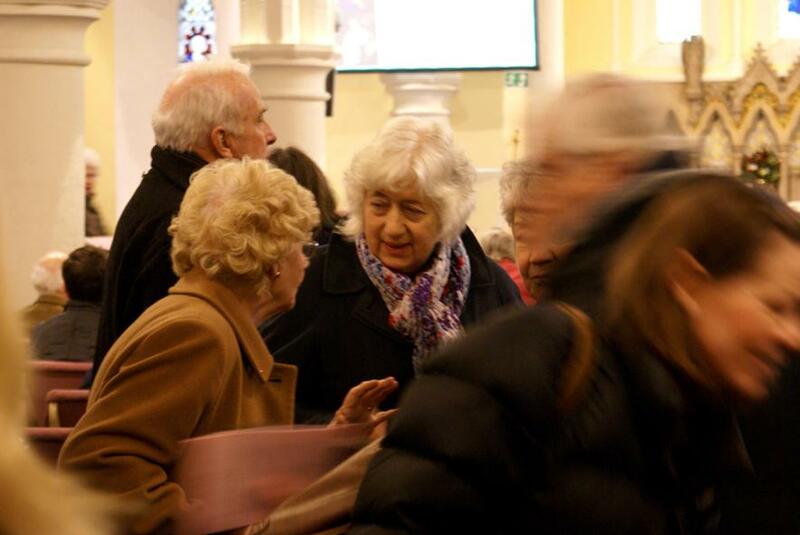 At Holy Trinity we believe that we should be engaging as fully as possible with our local community, to build bridges, to love our community and to show that love in practical ways. If we are deepening our roots in God, our love for Jesus will be evident in all that we do and say, and the Good News of Jesus will spread “across the bridges”, meeting and joining God where He is already at work.